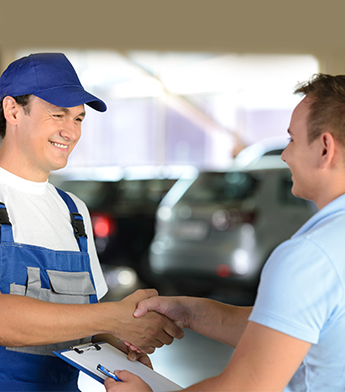 Get moving again by depending on the experienced auto technicians at our transmission repair shop. Wayne's Auto Repair provides comprehensive transmission repair in Powell, OH. Whether it's a minor or major problem, we know how to address any issue so you can enjoy smooth driving again. You know it's important to change your oil. However, you may not know that it's just as important to flush your transmission system. That's because debris, dirt, and metal start to collect in the transmission pan or filter over time. If the fluid becomes too dirty, these particles circulate throughout the system. When that happens, you will have problems, such as slippage, noises, and even grinding. You don't need to scrap your car when your transmission is damaged. If you like your car, you can keep it! Come to our auto shop for complete transmission rebuild services. We'll put it back together with an improved rebuilt transmission system. You'll enjoy years of smooth driving. A transmission rebuild is also known as a transmission overhaul. During the process, we remove and disassemble your transmission. Replacing broken or worn components with new ones, we essentially create a new transmission for your car. It is a complicated process, but our certified ASE technicians have been repairing and rebuilding transmissions for more than 40 years. A transmission rebuild is an affordable way to resolve your transmission problems and enjoy a car the lasts for many more years. Contact us for transmission repair services that help you get in gear again. We proudly serve customers in Powell, Lewis Center, Delaware, and Dublin, Ohio.